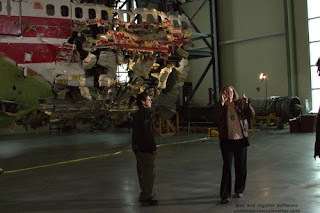 In the beginning of the new documentary about the 1996 crash of TWA Flight 800, amateur investigator Thomas Stalcup stands in front of a huge reconstruction of a section of the Boeing 747. The patchwork of torn aluminum airplane skin is tacked onto a frame that extends 90 feet. Stalcup looks on quietly for a moment before beginning to explain why he thinks missiles brought down the airliner. In Stalcup’s version of events, government investigators collaborated to hide the true story of Flight 800. Stalcup has chosen the most recognizable image of the air disaster to launch his 90 minute documentary, but that stunning 747, put together from pieces recovered from the Atlantic, is also a symbol of government dysfunction. The story behind the reconstructed wreckage is one of warring bureaucracies, competing agencies and appeals to the White House. If anything, the mockup argues against the kind of widespread cooperation required for a successful conspiracy. I covered the crash as a correspondent for CNN, and later wrote a book about it that included many of the alternative scenarios about what caused the disaster, including Stalcup’s missile theory. I also wrote about the tortured relationship between law enforcement and accident investigators. The bad blood between the Federal Bureau of Investigation and the NTSB started practically the moment they arrived on Long Island. It is easy to understand why. Acting on the possibility it was a terror attack, the FBI seized control of all aspects of the investigation and enacted rules that conflicted with the NTSB’s far more open procedures. The FBI’s Jim Kallstrom went on television talking about finding the perpetrators which infuriated the NTSB. Working unhappily together in a hot, smelly, cavernous hangar, cliques formed and splintered. Resentment and second guessing colored every decision. Then-cabinet secretary Kitty Higgins sometimes intervened, pleading for reason. “My job was to hose people down and say, ‘Back to your corners’” she told me. Taking a page from the investigation into the 1988 bombing of Pan Am 103, Kallstrom decided in November to reconstruct the airplane. The NTSB balked. The said there was no need. They were certain the problem was mechanical. And back to the White House they’d all go. Panetta sided with Kallstrom and ordered the rebuilding of the plane. By February 1997 it was done at a cost of $500,000. Then the families of the crash victims were invited to visit the reconstructed cabin and to see the seats where their loved ones had died. 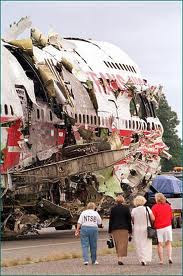 That may have been the moment when the NTSB began to see the value of rebuilding the airplane. Today it is the centerpiece of its Safety Center in Virginia, which is where Stalcup went to film his documentary, scheduled to air on Epix on July 17 the 17th anniversary of the crash. In response the NTSB is staging a media briefing at the reconstructed wreckage on Tuesday inviting journalists to ask questions of investigators whose four-year effort concluded that the disaster was causedby aging wiring and a faulty fuel tank design. I can’t say whether they will be successful in changing the opinions of those who give the missile theory credence. But having talked to so many of the people who lived through the investigation, I know it would have been impossible for those sparring government workers to agree to much of anything, let alone concoct an elaborate fiction to cover up a missile downing a commercial jetliner. 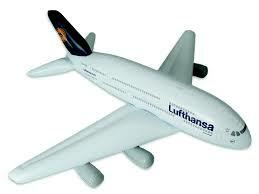 For all the squabbling though the NTSB did pick up a few tricks from the FBI. It learned not to sit back and do nothing when its credibility is challenged, and it now embraces the headline-generating power of the crash reconstruction it once fought so hard not to build. Penultimate paragraph says it all: if bureaucrats can't agree on what to have for lunch, they're unlikely to agree on the details of a complex conspiracy, and then keep their efforts under wraps for nearly two decades!